Losing a pet or a loved one is always hard and a process for you to get through it. The same thing is needed for a cat who has lost an owner or companion. 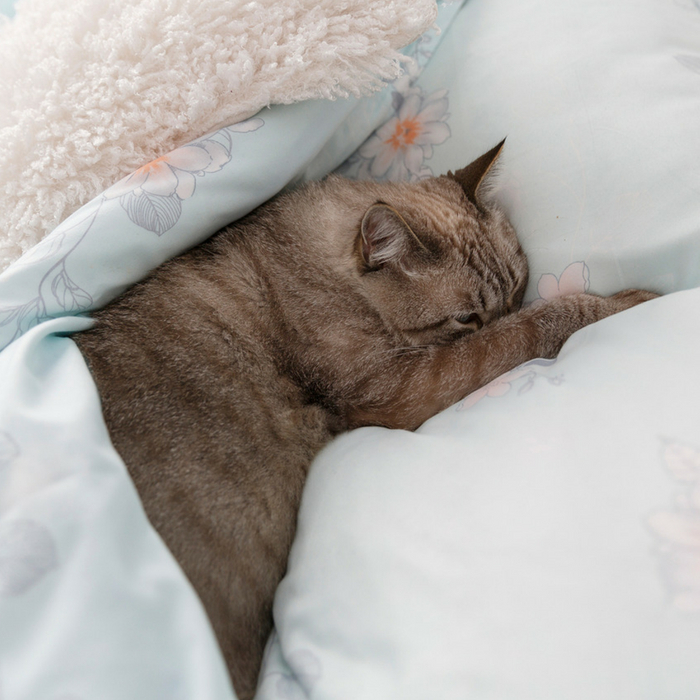 Whether your cat is struggling with losing another family pet or an owner, there are ways to really help your cat get through the grieving process. Helping your cat grieve is something to take very seriously, as stress can be very hard on their little bodies. While I have talked in the past about how you can remember a lost pet in a special way, I have not talked about helping a cat deal with their own grief and sadness. Animals can take the loss of a companion very hard, and here are some tips to help make the process easier for them. There is no true time frame for grief. Some cats might find they feel better after a day or two, where other cats might mourn for a long period of time. Making sure you do all you can to help your cat is imperative. Some animals have been known to pass away because they stop eating. For a cat, they have to eat or they can develop a fatty liver and their organs can begin to shut down. Keep your routine as consistent as possible. 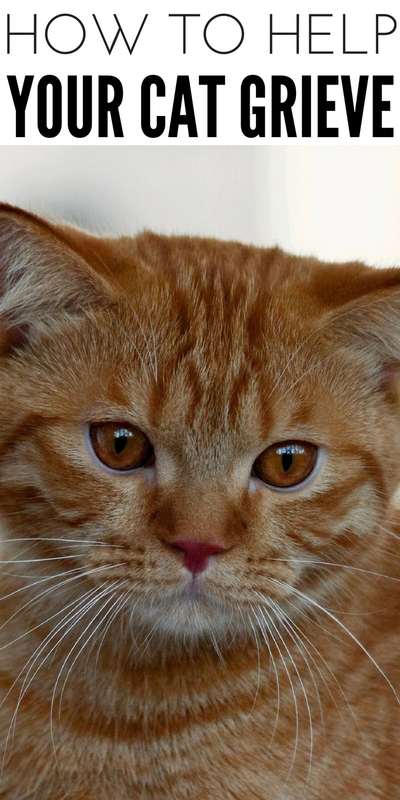 Don’t break any routines as this can cause added stress for your feline. Make sure to try to be as consistent as possible. Be aware of your own emotions. Cats have a good sense of our emotions and if they see you extremely upset, it can add even more anxiety and stress to their already stressed body. So be aware of your actions as they will affect your feline. Make sure to give your feline extra attention through this time frame. Maybe try offering new types of treats to entice them to eat, new toys for playtime and be extra loving. Being able to really give your cat quality time will help them work through the sadness they feel. If you lost a pet don’t rush to wash the bedding and other belongings. The scent of the other animal can actually help bring comfort. They might want to lay by the bedding to be reminded of them. So don’t rush to wash everything and put it away.